Western Australia's Waste Authority Infinity Awards acknowledge and celebrate the outstanding efforts achieved by government, industry and the community that contribute towards WA's Waste Strategy targets and the Waste Authority's objectives. Innovation, commitment and creativity are the hallmarks of award recipients. Awarded every year at a special celebratory function, winners for each of the 6 categories receive $5,000 in recognition of their outstanding work. A total of 18 award recipients are recognised and honoured. Members of the Authority, together with the Minister for Environment and other dignitaries, pay tribute to work that plays a major role in reducing waste and increasing reuse and recycling. Award applications are now open and close 30 June 2013. Information on how to make submissions are available here. 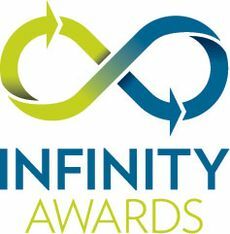 Find out more about the Infinity Awards.